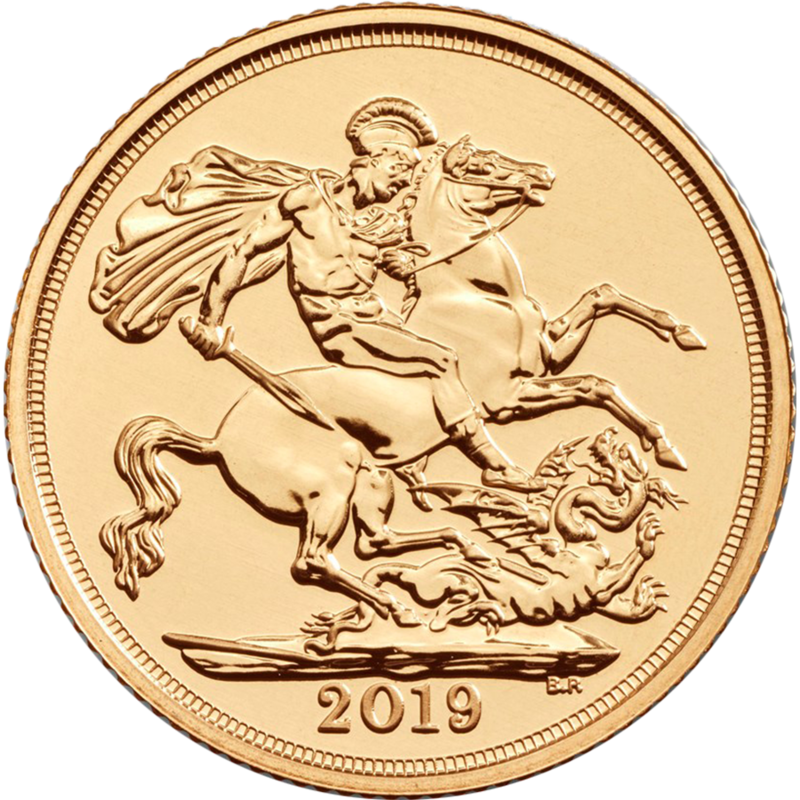 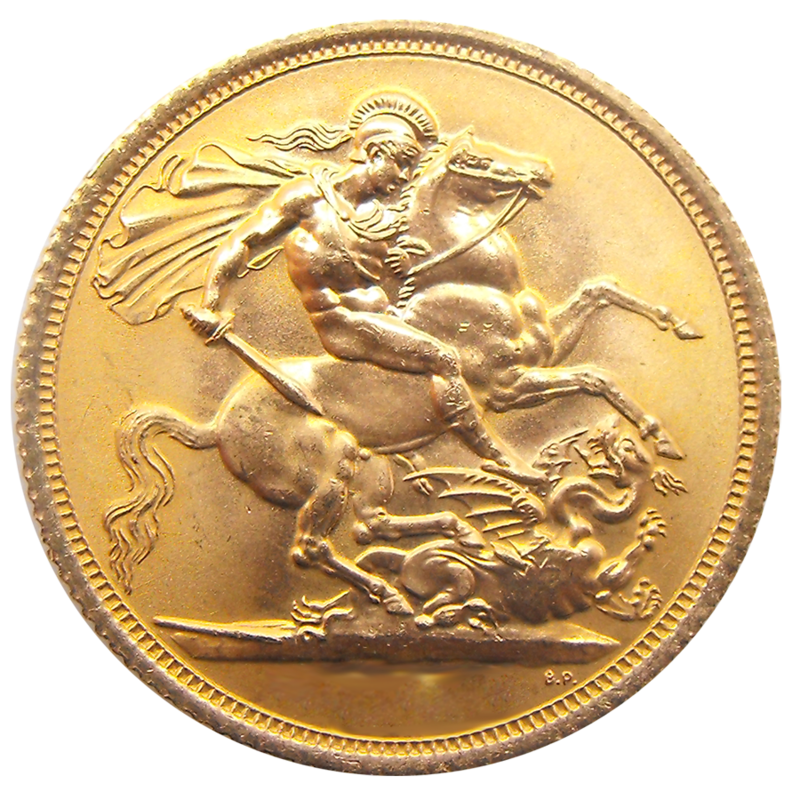 The Pre-Owned Perth Mint 1913 Full Sovereign features Benedetto Pistrucci's design depicting George & the Dragon on the reverse, the year-date of the coin also features. 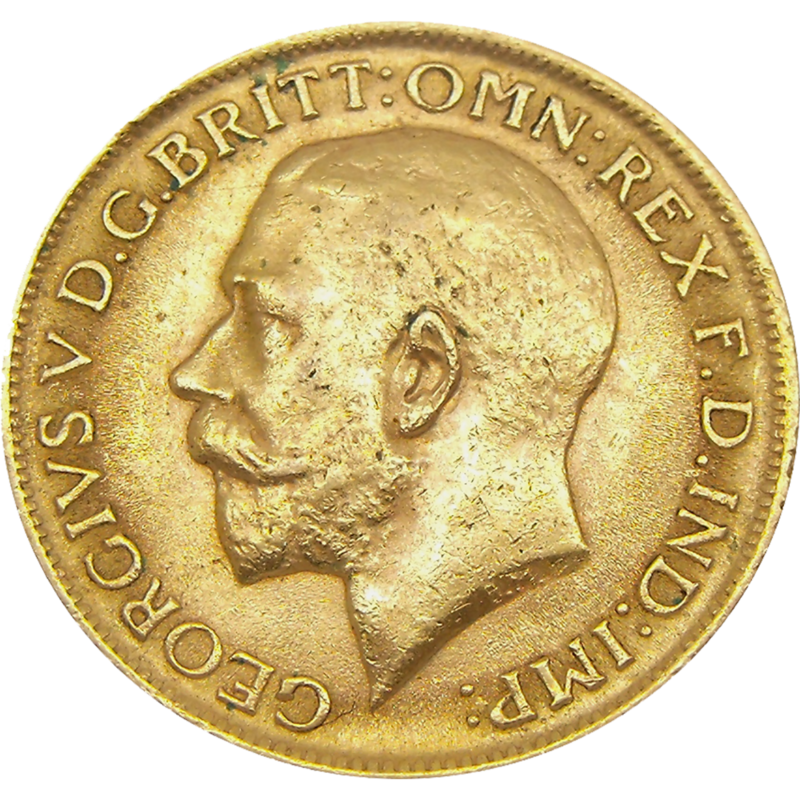 The obverse depicts a portrait of His Majesty King George V.
Minted by the Perth Mint, Australia. 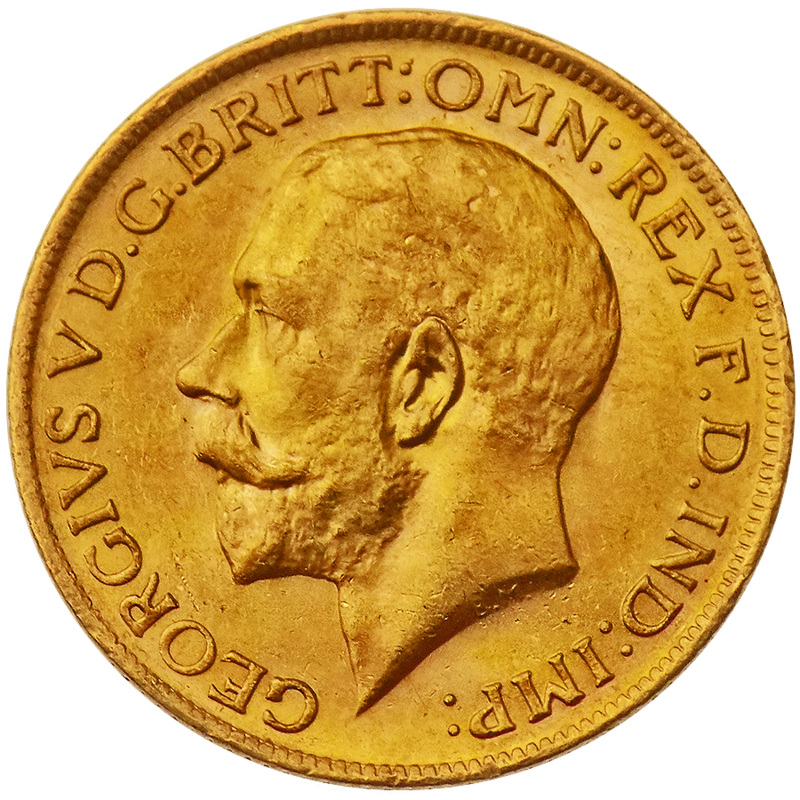 The Perth Mint struck gold sovereigns between 1899 and 1931. 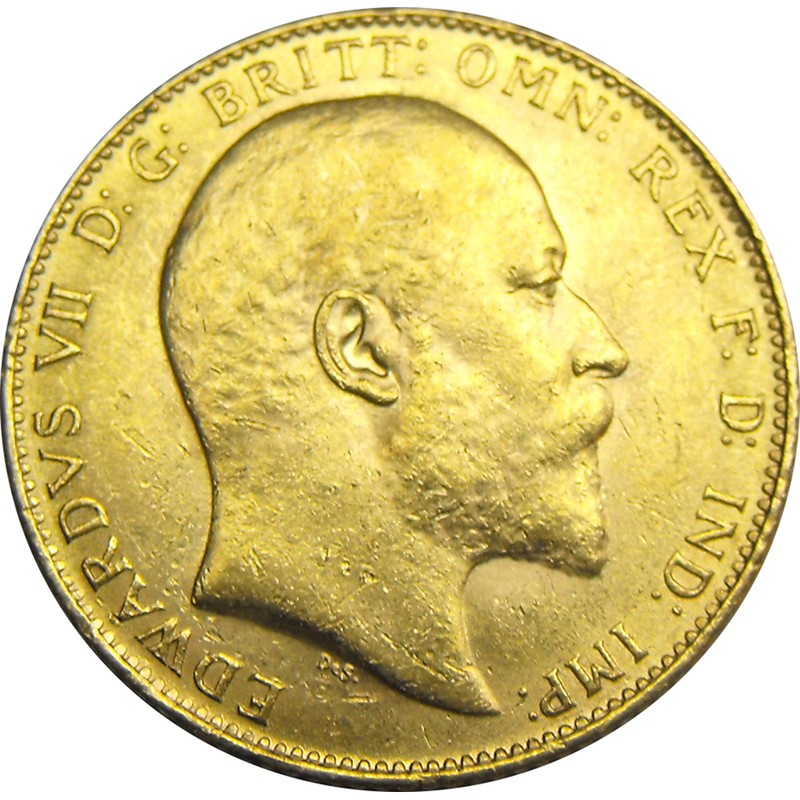 The coins show a small P mintmark. 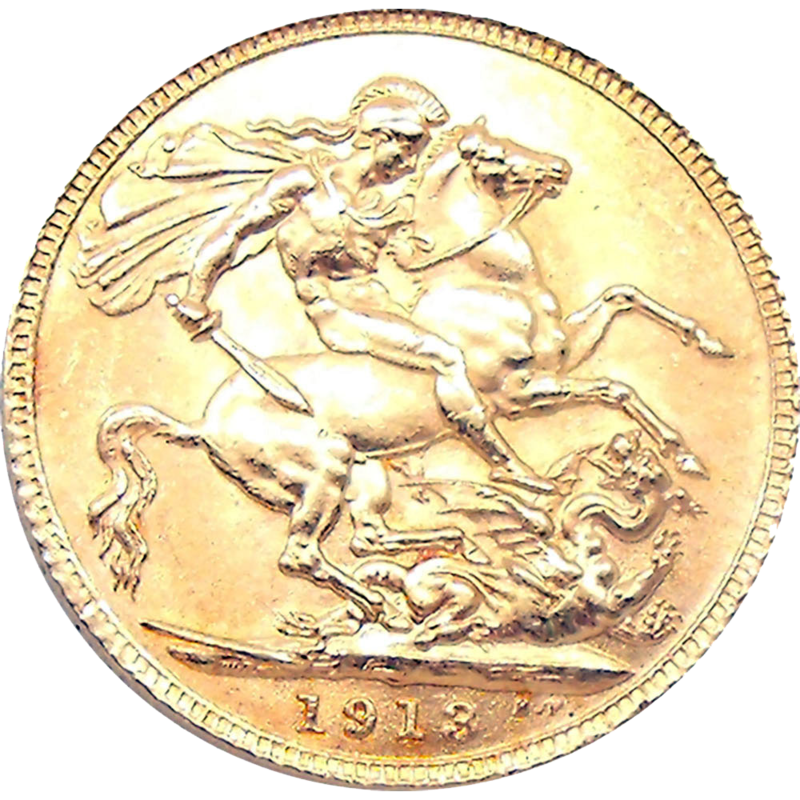 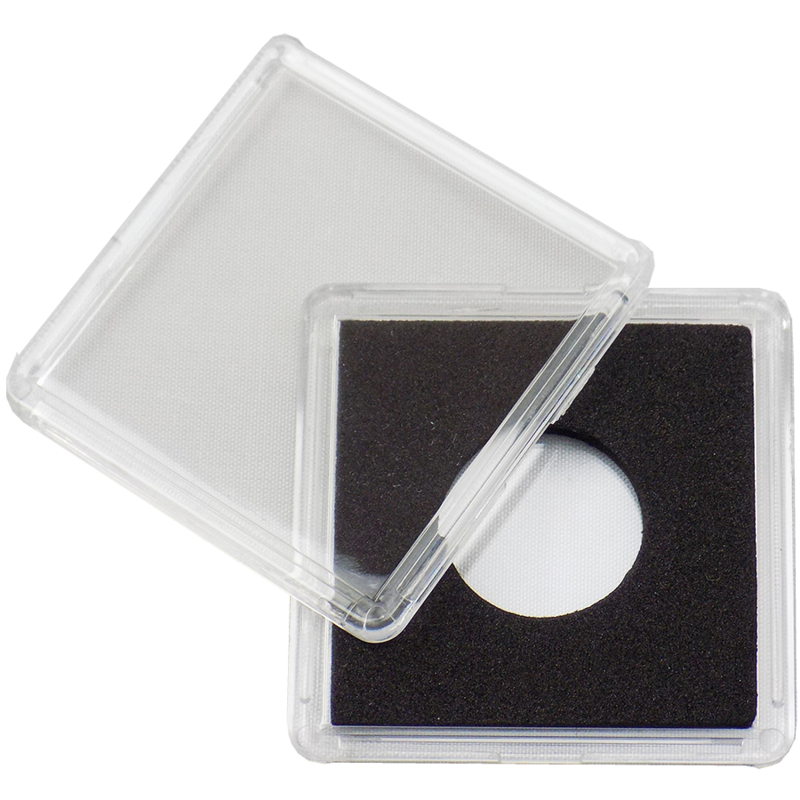 The mint mintmark can be seen above the date on the coin, stamped into the ground on the design, these are quite small so viewing with an eyeglass may be required.